On my way to Sochi! 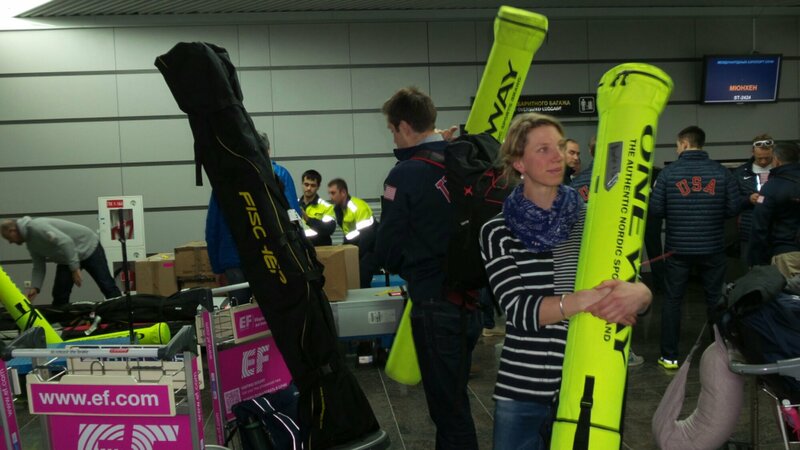 In the airport in Munich waiting to board our USA chartered plane to Sochi. 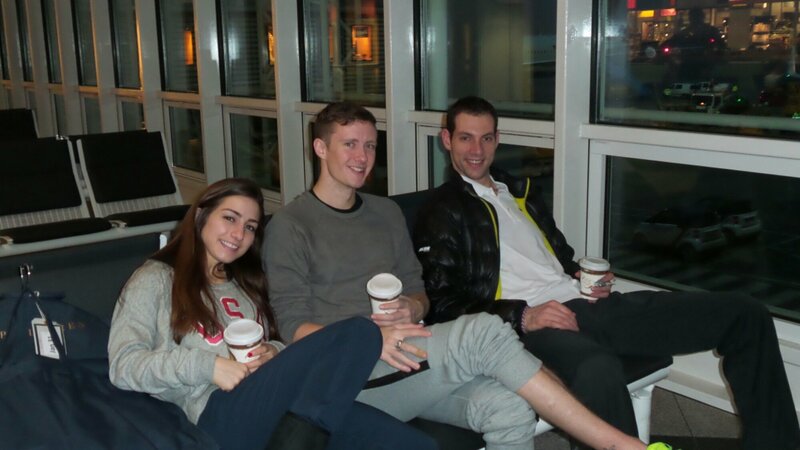 Here’s Marissa, Jeremy and Simon! 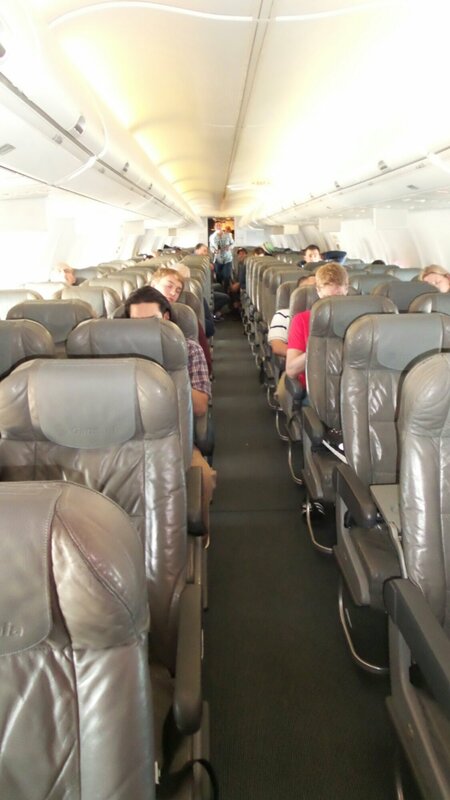 On our plane-we had a lot of room to stretch out. 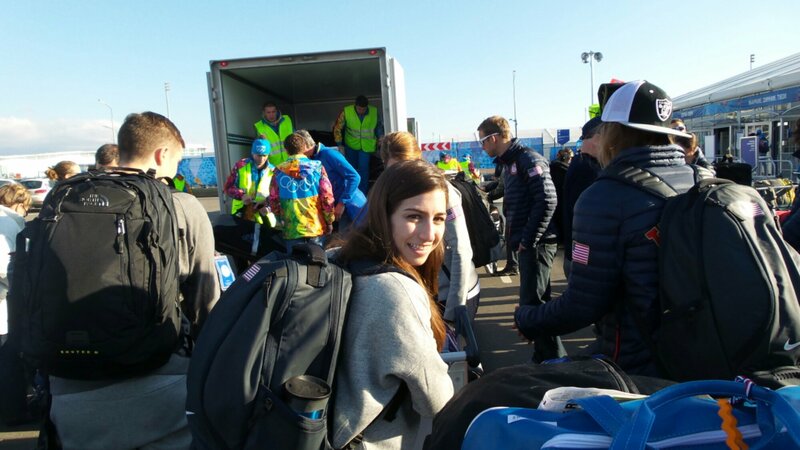 We shared the plane with other US athletes from speed skating, luge, freestyle skiing and biathalon.The plane carried all of the athletes gear (skis, luge sleds, figure skates don’t take up a lot of room, and the guns and ammunition of the biathalon team!). Here’s everyone getting all their gear off the plane. And Marissa and Simon. 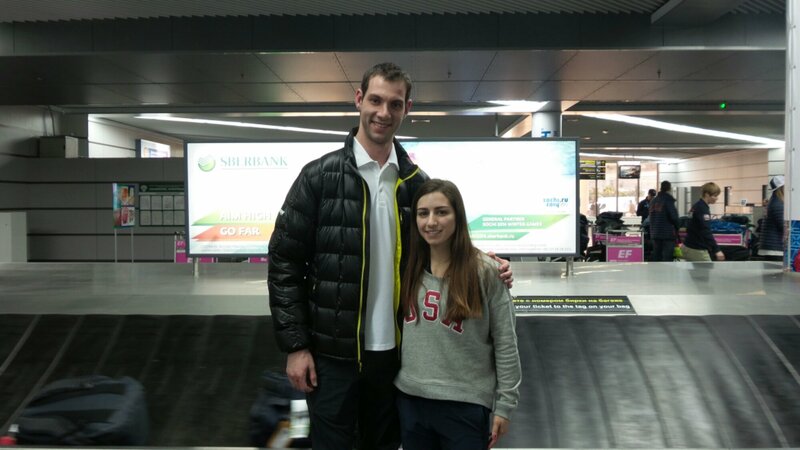 He’s one of the tallest athletes at the games this year at 6’4″ and she’s one of the shortest at 5 feet.